NUS ecologists have developed improved methods for estimating biodiversity loss from habitat-clearing activities, to aid conservation planning. How many species are lost when a forest is cleared? This classic ecological question dates back to 1921, when Olof ARRHENIUS published his power-law species–area formula predicting species richness from habitat area. This formula can also be used to calculate how many species are lost when a habitat area shrinks. But Arrhenius' formula assumes that habitat area is the only spatial variable of importance for species richness; it ignores the spatial pattern of habitat fragmentation. This is equivalent to assuming that the number of species persisting in Singapore's 23 km2 of fragmented remnant forests is the same as it would be if the forest were one contiguous block. Realistic estimates of species richness and species loss require habitat fragmentation to be incorporated into the species–area formulas, but this has proven challenging. 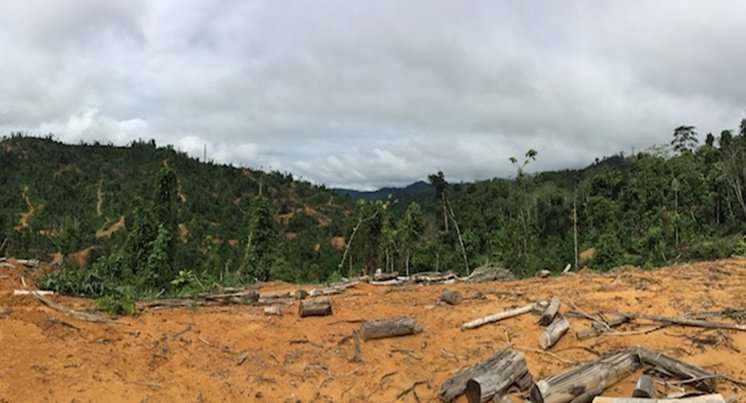 A research team led by Prof Ryan CHISHOLM from Department of Biological Sciences, NUS have developed efficient mathematical formulas that incorporate the effect of habitat fragmentation to provide better estimates of species loss from land-clearing activities. The team achieved this by using novel rescaling techniques inspired by coalescence methods used in population genetics. The formulas permit rapid estimation of the upper (contiguous land clearing; minimum fragmentation) and lower (random land clearing; maximum fragmentation) bounds on species loss, which would otherwise require a large amount of computational effort if done through numerical simulations. Applying the new formulas to case studies, they found that immediate species loss is fairly insensitive to the exact pattern of habitat fragmentation at small scales (e.g. several hectares) but highly sensitive at larger scales (e.g. the Amazon rainforest). These tools and findings can help guide land planners in their biodiversity conservation efforts. Prof Chisholm said, "When we applied the new formulas to estimate tree species loss in Singapore over the last 200 years, we found that the lower bound from our formulas, which assumes maximum fragmentation, was close to independent estimates of tree species loss from Singapore Botanic Gardens herbarium data. We speculate that this is because the forest in Singapore is quite fragmented, and so more tree species persist here (at least in the medium term) than would if the remaining forest were one contiguous block." While the new formulas published by the researchers allow for estimation of immediate species loss from habitat clearing, the researchers are now turning their attention to longer-term problems. In particular, they are studying the phenomenon of "extinction debt", whereby species continue to be lost in the following decades or centuries after their habitat has been cleared.